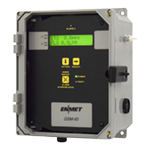 ENMET offers a wide range of medical hazardous gas monitoring for the medical market. Analyzers are supplied for measuring carbon dioxide, carbon monoxide, oxygen deficiency and abundance, methane, nitrous oxide, anesthesia gases, dew point, hydrocarbons, and many toxic gases including formaldehyde, ethylene oxide, chlorine and ozone. 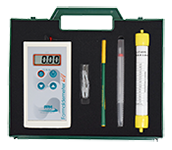 Many of these medical air monitoring systems are designed to meet OSHA monitoring requirements for Grade D breathing air and NFPA 99 “Medical Air System Guidelines”. MedAir 2200 is a compact, easy to install and operate compressed airline monitor that is typically configured to monitor hospital compressed air for carbon monoxide, oxygen and dew point. This instrument is UL and CSA certified for “Medical Electrical Equipment Safety Requirements”. 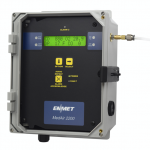 The GSM-60 is a versatile instrument that can be custom configured to monitor a variety of conditions, including VOCs, CO, CO2, oxygen, and many toxic gases such as ethylene oxide, chlorine and ozone. 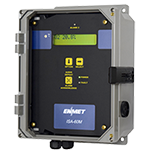 In addition to having an internal sampling pump and sensors, it can also accept inputs from remote gas sensor/transmitters. The ISA-60M controller with remote MRI-5175 oxygen sensor/transmitter is specifically designed to continuously monitor for oxygen deficiency in an MRI room or facility. Maintaining the quality of breathing air in an MRI room is an important safety consideration. Formaldemeter htV is a handheld, direct-reading portable instrument that offers a convenient way to monitor levels of airborne formaldehyde in the environment. Formaldemeter htV-m is a handheld, direct-reading portable instrument that offers a convenient way to monitor levels of airborne formaldehyde in the environment. 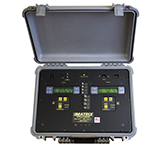 The MATRIX medical gas verifier is an eight channel multi-sensor system designed for the real-time analysis and verification of hospital gases to ensure compliance with NFPA 99.